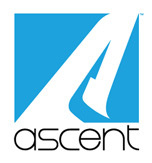 At Ascent Adaptation, we promote a healthy lifestyle, involving regular physical activity, optimal eating habits, and a positive state of mind. But, since we know how challenging these strategies can be, we’re here to offer you our BEMER Therapy. How does the BEMER work? The BEMER (Bio-Electric Magnetic Energy Modulation) emits a distinct energetic pulse via an electromagnetic field, which will trigger a significant biological response. The device is designed to stimulate and enhance the body’s natural blood circulation, and it is this simple effect that delivers outstanding physiological benefits. Our blood contains several active agents that transport nutrients and oxygen throughout the body to organs, muscles, brain, bones, and skin. As an athlete or even a regular person, looking to adopt a more active lifestyle, you need good blood circulation to keep you at the top of the game. Without that, your body’s performance will decrease dramatically, as well as your mental capabilities. The technology we’re offering has proven incredibly successful among professional athletes and casual sport lovers as well. Give it a try and come back for a feedback! What is the BEMER good for? Boosted physical fitness – Sustained physical efforts require high levels of stamina and energy and these are not possible with a dysfunctional or poor circulatory system. Our BEMER Therapy will correct these problems by increasing the blood flow, transporting more oxygen and nutrients to muscles, bones, and organs. As a result, you will become stronger, with more energy and stamina throughout the day. Biological waste disposal – As our technology will improve your body’s internal functioning, the organism will become more proficient at disposing of the biological residues and toxins. You will soon start to feel better, as your body becomes stronger and healthier by the day. Extensive mental support – Our brains need a healthy flow of oxygen and nutrient-enriched blood to function correctly. With the BEMER’s help, you will feel more focused as your mental acuity increases and mental stress decreases. You should also notice significant improvements in your sleeping routine. Depending on the patient, the benefits can last up to 18 hours. For consistent results, we recommend using procedure twice a day, every day. PEMF (Pulsed Electromagnetic Field) is the technology behind the BEMER therapy and studies have shown that it is entirely safe for use. It is part of an innovative wave of alternative healing procedures, with many experts declaring that it will take the world by storm shortly. We know that conventional medicine isn’t always capable of providing the right answers. Our BEMER is one of the most advanced pieces of technology that has the power to change your life. Contact us, at Ascent Adaptation and speak with a professional about all your queries!